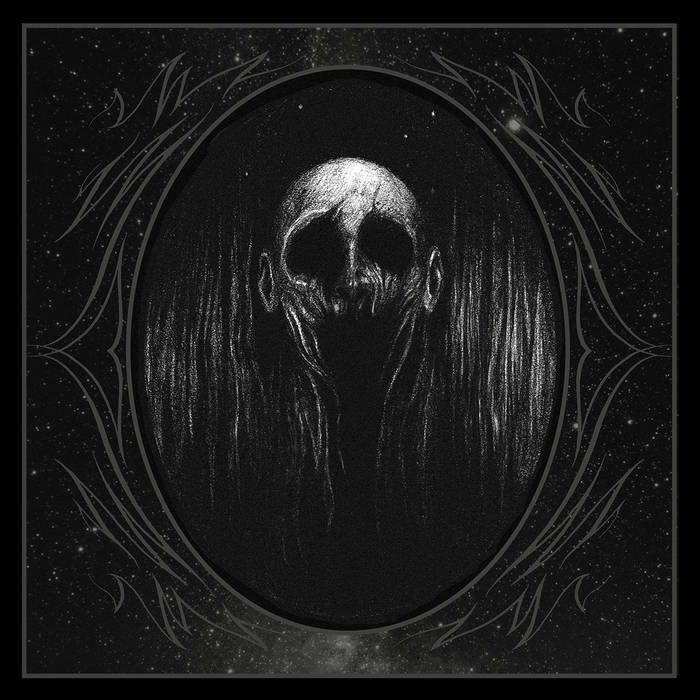 Veiled are a black metal band from the US and this is their debut album. Black Celestial Orbs features 40 minutes of the deepest, darkest black metal. This is music that swallows light and exudes mystical malice on a cosmic scale. The band create hypnotic hymns to the void, entrancing the listener with their spectral take on atmospheric black metal. Basing their sound on the Scandinavian second wave, Veiled use this as a launching pad to propel their grim creations out into the universe. The songs are ruthlessly expressive and coldly emotive, crafting absorbing music that’s very easy to like if you’re a fan of this type of thing. Largely sharp and fast, when the band do slow the music down these sections are just as enjoyable as the faster ones, as Veiled play both extremely well. The album is also enhanced with occasional moments of calm reflection, when the spacefaring distortion slips away and all we’re left with is simple instrumentation and naked emotion. There are a plethora of different blackened melodies that have gone into the creation of these songs. These serve the music well, and are fully incorporated into it rather than striking out from it overtly. The singer has a deeper scream than I was expecting, but this works well to add weight to the scything music. Black Celestial Orbs is a very satisfying atmospheric black metal album. Veiled have done very well here, very well indeed. This is a highly recommended experience as you follow the band into the darkness of the unknown heavens. This entry was posted in Black metal and tagged Atmospheric Black Metal, Black metal, Metal, Second Wave Back Metal, Veiled. Bookmark the permalink.